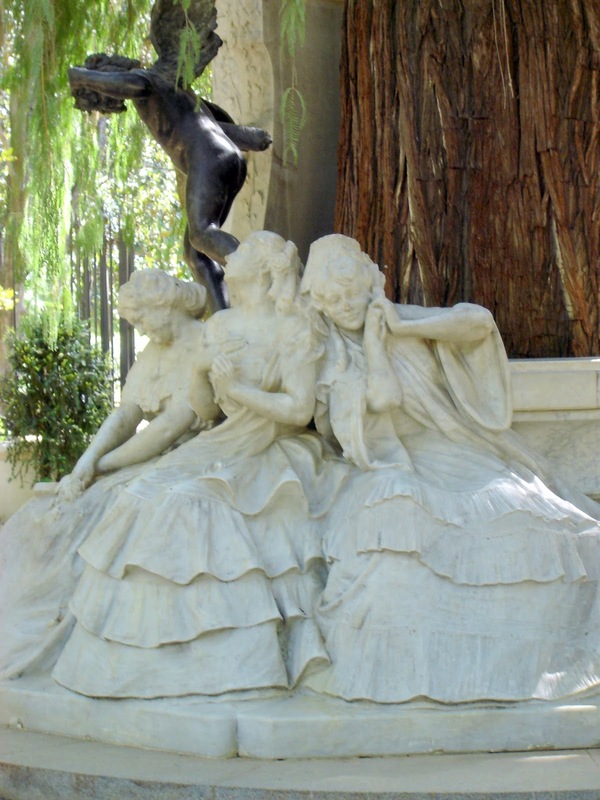 This lovely romantic garden was donated to the city by the Infanta Maria Luisa Fernand at the end of the nineteenth century. The famous landscape gardener, Jean Claude Nicolas Forestier, added further enhancements. In 1929, the park became the centre of the Ibero American Exhibition. 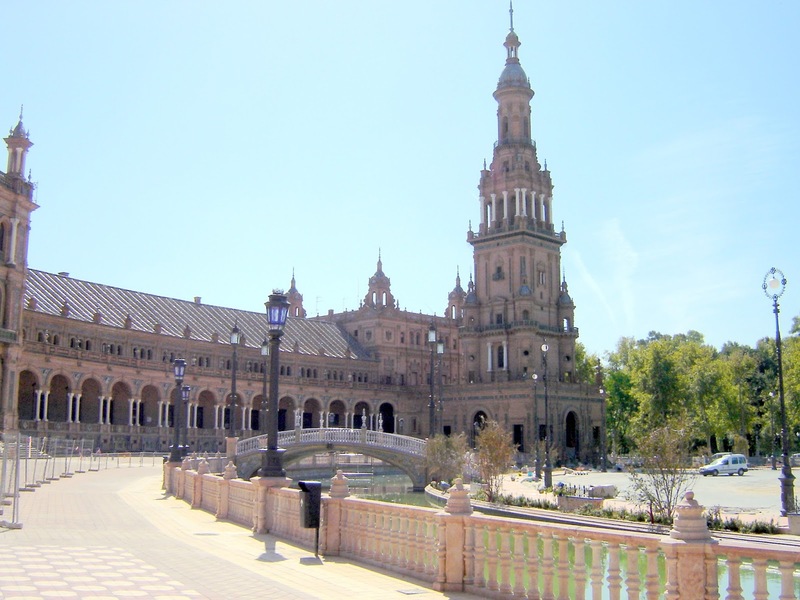 Adjacent to the park is the beautiful Plaza de España which was used to showcase Spain’s industry and technology exhibits. The Moors formally laid out the ‘Palmeral of Elche’ in the 10th century. They installed elaborate irrigation systems and these are still functioning today as are the agricultural practices developed by these enterprising people. 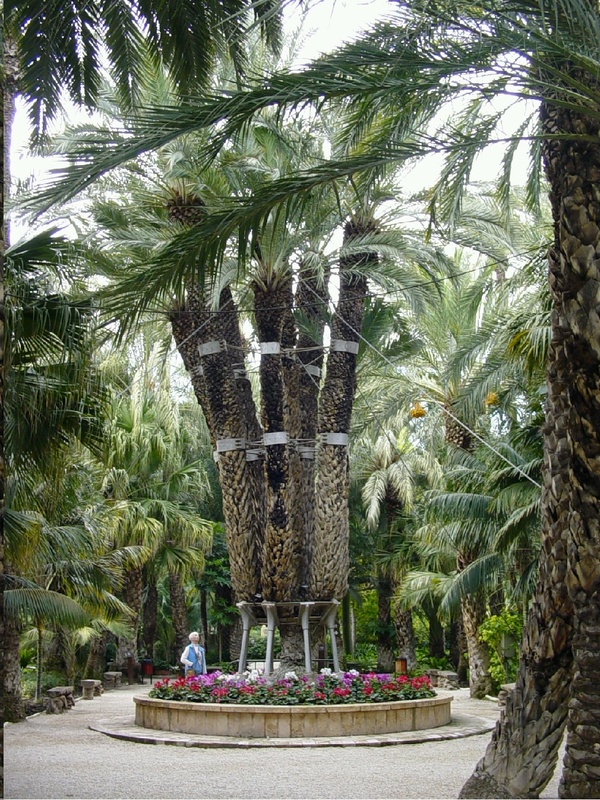 Elche is a World Heritage site because the palm forest is so impressive and important. 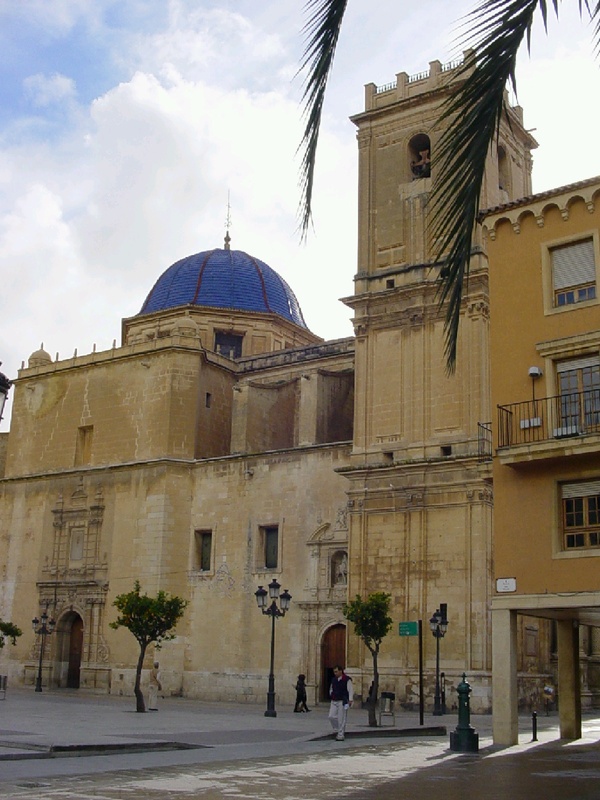 Elche has a number of historic monuments and one in particular is worth a visit – the ‘Basilica of Santa María’, a spectacular building with a bell tower and an imposing blue dome. The present Basilica is the fourth religious building occupying the same site. It was the site of a Muslim mosque when Jaime I, King of Aragón, conquered the town in 1265. The present building was started in 1672 and finished in 1783. A visit to the bell tower is worth the effort. From the top, panoramic views of the city can be enjoyed – in particular, the groves of palm trees. On the different landings of the tower information is displayed about the building of the Basilica, its architectural styles and its importance in regards to Elche’s other claim to fame – the ‘Misteri’ or ‘Festa d’Elx’ – a medieval sacred play. This ‘Passion play’ is acted out in the Basilica every year on the 14th and 15th of August. It is listed as ‘World Heritage’ making Elche one of the few places in the World to have two ‘UNESCO World Heritage’ awards. 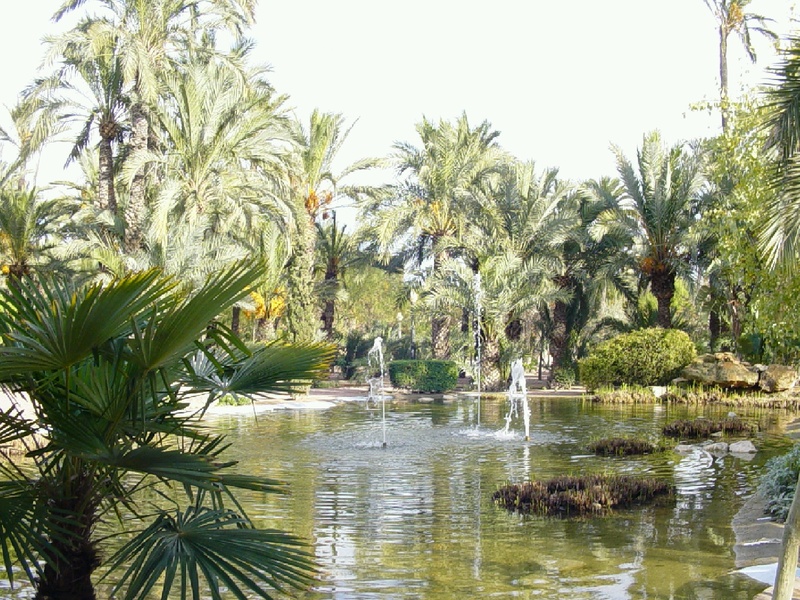 The ‘Huerto del Cura’ – the Priests Garden. It is known as ‘The Jewel of the Palm Park’ and rightly so – it is a calm relaxing place – a delightful garden of palm trees, tropical plants and cacti. It even has a pond with ducks! The tree got its name following the visit of the Empress Elisabeth of Austria in 1894. The spectacular tree clearly impressed her. She commented to the proprietor “…the date palm has the power and strength of an empire”. The Empress was just one of many prominent visitors to the ‘Palmeral’ of Elche. 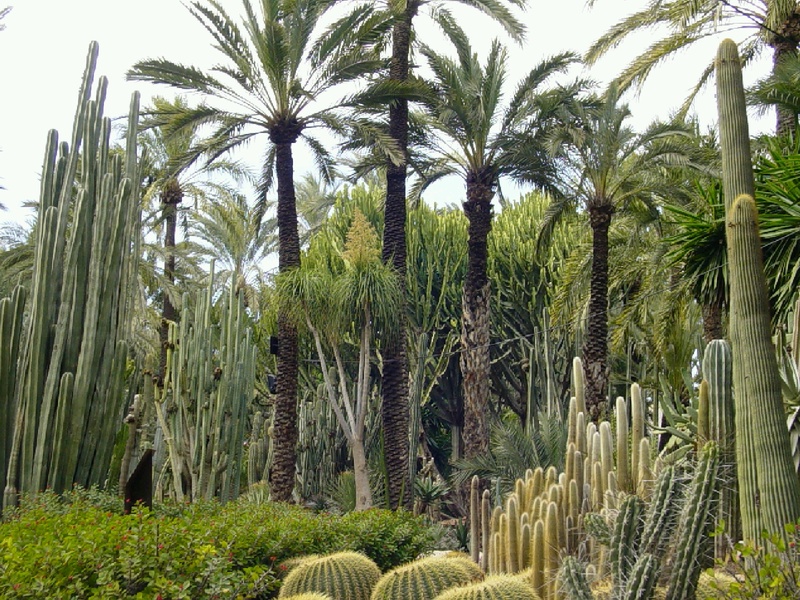 I like the cacti garden – La Rocalla has many types of cactus ranging from small spherical specimens to tall pipe-shaped ones that almost matched the palm trees for height. I would recommend anyone who visits the Costa Blanca to pay a visit to Elche and to the ‘Huerto del Cura’ in particular. Magic!